In celebration, I wanted to write a post about how to get famous, because clearly I am an expert on the topic. 1. Blog irregularly. Your blog followers will love that you are not dependable. Daily entries are for amateurs. Nobody REALLY has that much to write about. Who are you trying to fool? 2. Never initiate comments. It’s kind of like the rule, “don’t speak unless spoken to.” This is true for blog commenting, with one exception, (See #3). Bloggers don’t actually want feedback. They just want to pour their hearts out on the interwebs without eliciting any sort of reaction from their readers. Besides, those stupid word verification things are just plain annoying. 3. Never respond to comments, either. (This is the exception mentioned in #2, so really it’s not anything like the rule). The random idiots who actually comment on your blog posts aren’t really looking for a conversation. And they definitely aren’t trying to generate traffic to their own blog, so do everything in your power to avoid visiting their site. Blogging is a selfish industry. 4. Never follow ANYONE. Most bloggers are simply looking to win an online popularity contest by increasing their number of followers. The don’t want dedicated readers who return week after week. Why would you want to help them? Just let them suffer alone in obscurity. 5. Never actually read other bloggers’ posts. Since you aren’t going to comment anyway, why bother wasting 5 minutes of your time on a post that you won’t allow to evoke any sort of emotion? 7. NEVER link to other peoples’ blogs in your posts! After all, why would you want to give credit where credit is due, or worse, redirect your readers to a way more interesting, way more popular blog? Let’s not be irrational. 8. Never post pictures or other interesting content. Block text is the best way to go. Lots and lots of block text. I mean, most of your readers are probably following this very same set of rules, so let’s be honest. They aren’t paying attention to your posts anyway. Why waste your time constructing meaningful and intriguing posts when you could be selling yourself as the next blog-to-movie star? 9. 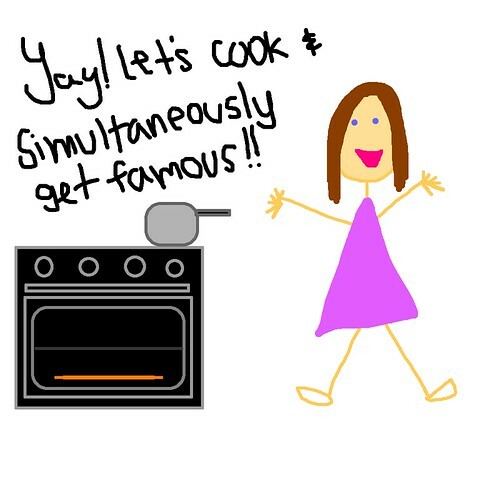 In fact, odds are, you’ll get MORE famous if you just quit blogging all together!